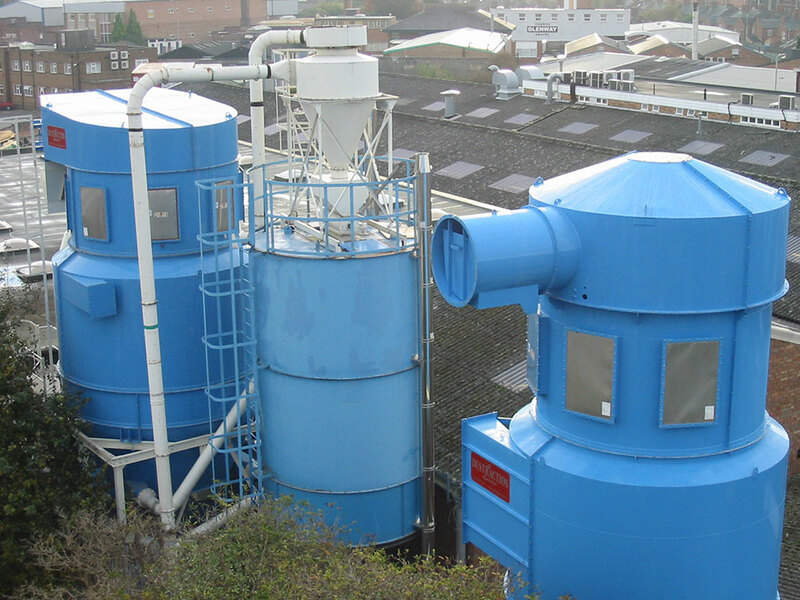 As dirty air enters the cyclone dust collector, it is forced into a swirling movement. This results in a centrifugal force acting on the dust particles suspended in the air stream. The particles, denser than air, are forced to move outwards, towards the cyclone dust collector wall. 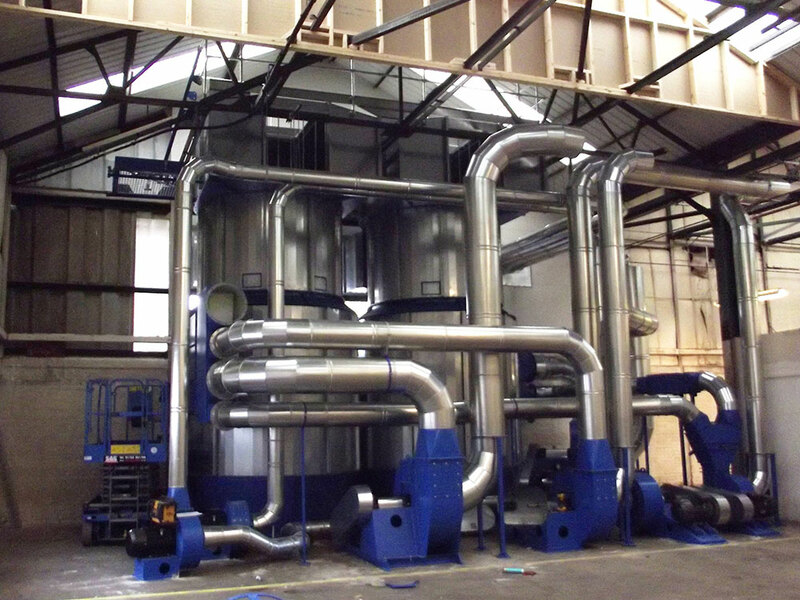 Waste is blown into the cyclo filter chamber and 95% of the material is cyclonically separated before even reaching the filter. Air passes through the filtration element leaving the remaining 5% of the particulate to cake on the outside of the filter tubes. At a preset pressure drop, a short burst of compressed air is released down the inside of each filter sleeve, in the opposite direction to the travel of extraction air-flow, to dislodge all accumulated dust cake. 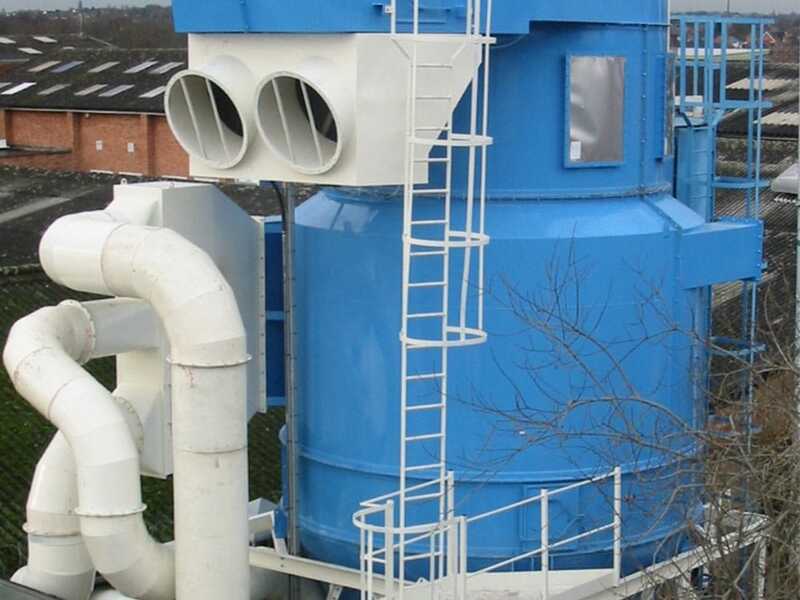 The Dustrax Cyclo Filter unit combines the technologies of a cyclone with that of the reverse pulse filter. 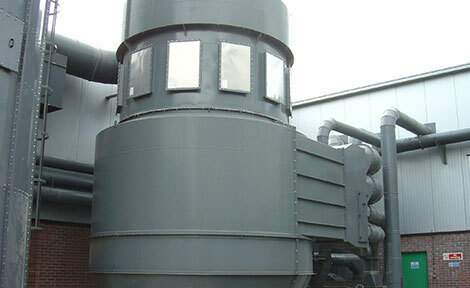 This type of unit is generally used for medium to large wood waste extraction systems. The filter is very robust having been fabricated in 3mm thick steel plate to last a virtual working lifetime. The filter is guaranteed to run continuously and has a filter bag life guarantee of 6,000 hours or 3 years. It also has an emission guarantee of 0.2mg/m3 which is exceedingly low and falls in line with the European legislation.